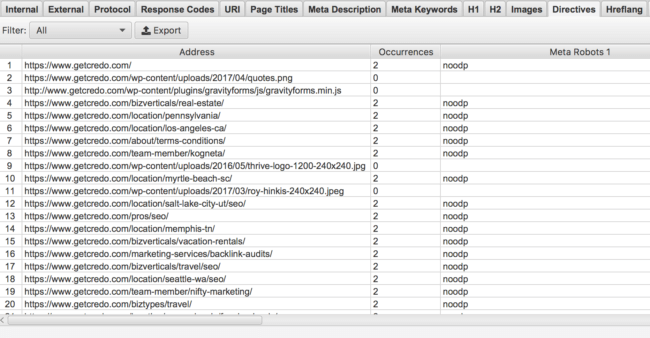 What is the meta noindex tag? 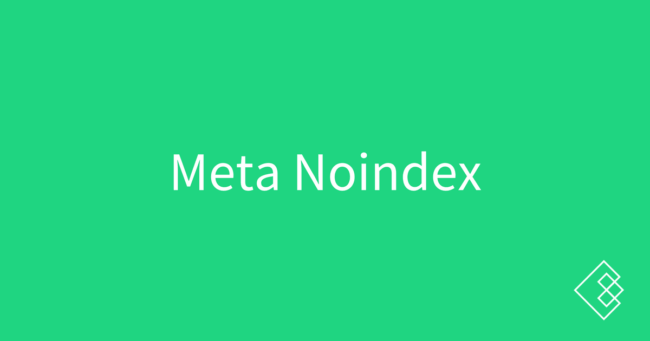 The meta noindex tag is used to direct the search engines to not include the page on which it is used within the search engine’s index. It is a meta tag that goes in the <head> of a web page. The meta noindex is part of the meta=robots tag, which is an optional tag to include on every page of your website. The noindex tag is often accompanied with the follow/nofollow directive, though this is an optional directive to include. If it is not included, the default is set to “follow”, thus if you do not want the search engines to count links on the page as votes towards the pages to which they also link. The noindex tag is used to remove specific pages from the search engine index. This is often done because the page is a duplicate of another (in which case it would ideally be either 301 redirected or canonical‘d to the other page), is low quality and thus seem as harmful to your site’s overall SEO purposes (in which case you should likely update the page and make it high quality), or it is a logged in or otherwise accessible page that you do not want people to find in the search engines. It is very important to understand what the meta noindex tag does not do, because there is a lot of false information out there online. Help you rank better directly. To clarify point 4, it can be harmful to have many low quality pages on your website. This was the whole purpose of Google’s Panda algorithm, which targeted content sites that mass-produced thin content specifically made to rank in search engines against which to sell advertising. However, simply noindexing a lot of low quality pages is just one of many factors that the search engines take into account when determining if your site is high quality or not. Thus, if you are having issues ranking in the search engines it is not advisable to simply noindex pages that you think the search engines may not like. In the past, I have found where a page was not ranking because of a rogue noindex tag. In fact, this happened with the Local SEO page on Credo earlier in 2017.